TRENBOLONE 200 – the longest form of the strongest steroid trenbolona. By structure it is enanthate, which is active in the blood for 9-10 days. Due to this property, the athlete can put rare injections and keep the hormone arc at an even high level, without peaks and drops. The presence of jumps, for example, on the course of trenbolone acetate, causes many to display temporary nervousness and aggression. But, of course, not everyone notes such “pobochki” trenbolona in different forms. That is why today both acetate and enanthate of trenbolone are popular. 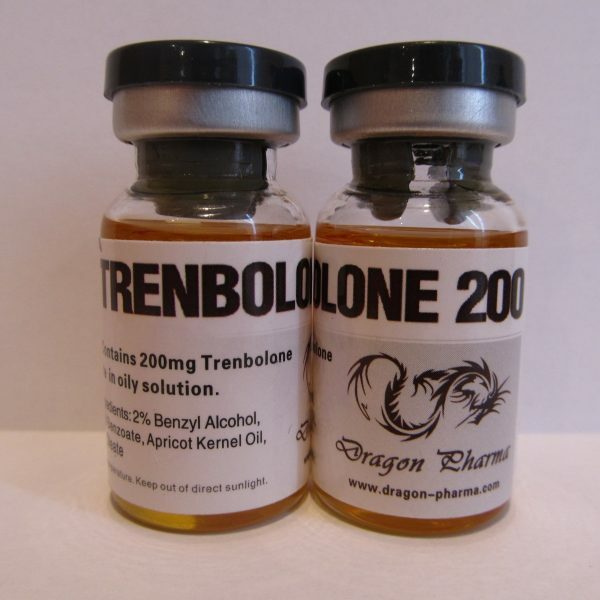 Trenbolone is a strong steroid, which despite this can be used even by beginners. It allows you to quickly build up a dry muscle mass. 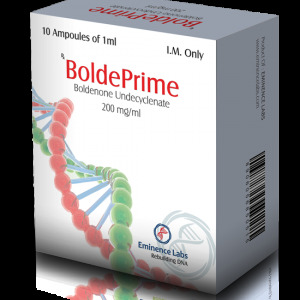 Unlike testosterone or a deck with similar properties, trenbolone does not lead to an abundant accumulation of water and allows you to maintain the rigidity of the muscles, which on the background of burning fat tremendously changes the appearance of muscles in a positive way. To beginners, it is recommended to use trenbolone enanthate in a solo course. It slightly increases the appetite and dramatically raises the strength indicators, which allows you to quickly gain muscle mass. Increasing the synthesis of growth hormone strengthens the ligament, which minimizes the risk of injury. In addition, thanks to this property, trenbolone burns fat perfectly. Dosage of the drug in a solo format: 200-300 mg once a week. Never exceed the dosage of 500 mg per week, it will certainly cause pobochki. Trenbolone is a strong steroid and its uncontrolled intake can discard your progress in muscle mass to the initial level. For more experienced athletes, I recommend using such an ester of trenbolone along with testosterone enanthate. Thus, you will have 2 “long” drugs, which is enough to keep the level of the male hormone at a high level. This will allow even faster to gain muscle mass. The dosage of testosterone enanthate is not more than 250 mg per week. On compost steroids, the amount of trenbolone should not exceed 300 mg within 7 days. It is such a scheme that is safe. 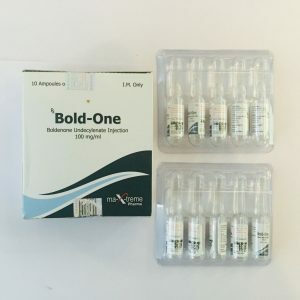 Because of the rare injections and a more even hormonal background, the risk of side effects with the use of enanthate trenbolone is quite low in comparison with other forms. First of all, many people note an increase in aggression and nervousness. Also to pobochkam should be attributed acne. 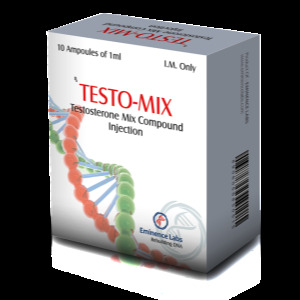 With a strong excess of the indicated dosages of the trenbolone, you may experience a decrease in libido, a weak erection, a lack of progress and even gynecomastia due to the progestogenic activity of the trenbolone. It begins 2 weeks after the final injection. Duration of PCT is 10-14 days. You need to buy cabergoline and clomid. If you used testosterone, then buy anastrozole. Do not use Tamoxifen. 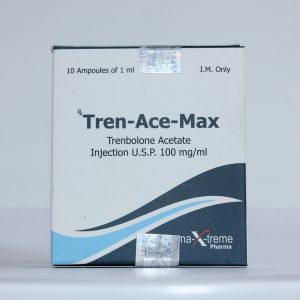 It is not suitable for trenbolone and other progestinic steroids.